This is a 10-part series from The Open University, featuring Professor Russell Stannard exploring the BIG questions - What is consciousness? What is free will? What caused the Big Bang? What is time? Each "episode" is relatively short, between 7 and 14 minutes, so these are bite size examinations of the big questions. 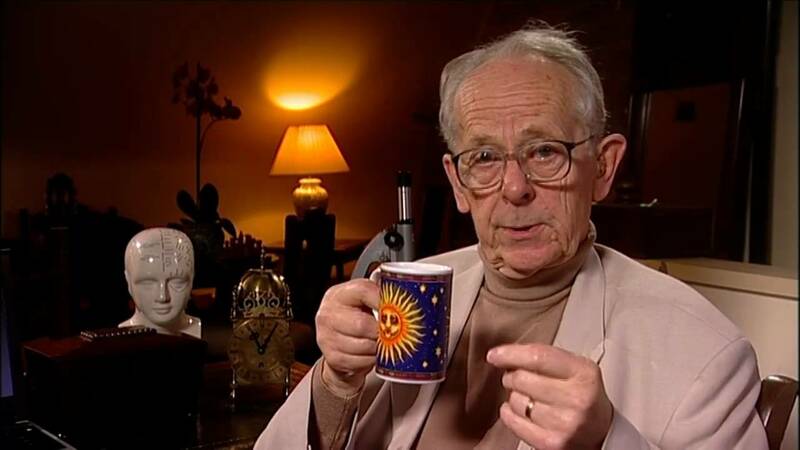 Professor Russell Stannard (Department of Physical Sciences, The Open University) presents a series with numerous open questions about our consciousness and the physical brain, free will, cosmology and life. Questions such as: What is consciousness? What is free will? What caused the Big Bang? What is time? One day he says, we will reach the limits of science and it will grind to a halt. Science is the pursuit of knowledge to understand the physical world around us. One day we will reach the boundaries of the knowable. Perhaps we have already reached them. There are questions that we cannot answer and perhaps never will. Is there free will or is it pre-determined? Are we predictable? If we strip down to the subatomic level, we can observe that even the electrons which orbit the nucleus are unpredictable. Surely this means that if the building blocks of life themselves are unpredictable, and then this will translate into everything else? Perhaps we are destined never to know the answer to this question. Edwin Hubble discovered that the universe was expanding and now we know that 13.7 billion years ago there was a Big Bang which formed our galaxy, our solar system and our world. But what caused the Big Bang? 'Cause and effect' is a fundamental concept of science. But if there was no linear time or anything technically before the Big Bang, how could there be a 'cause'? If everything had to be created randomly, the chances of the universe being able to sustain life would be effectively zero. So why is our universe so 'life friendly'? Was it created by an omnipotent being? Are there life forms out in other parallel universes? There could be many 'earth-like' planets out there. Evolution took billions of years on earth. There could be older galaxies out there, where life forms are more advanced than we are, due to the age of their universe. The nature of time itself is fascinating. We are used to thinking in three dimensions: length, height and width. We also understand that time is linear. But what if time was in fact part of the other three dimensions? What if there were four dimensions? Astronauts experience the slowing down of time and distances in space. They experience the four dimensions. Science calls this 'spacetime'. But what is real? What we see here on earth or what the astronauts experience in space? These questions are still causing debate between scientists. These abstract questions are important, but will we ever fathom the riddles that they present?